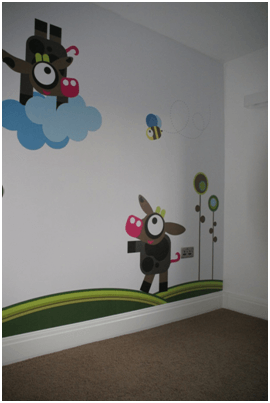 ThermaSkirt – The energy efficient alternative to Under Floor Heating - DiscreteHeat Co. Ltd.
New Skirting boards for 'free'! 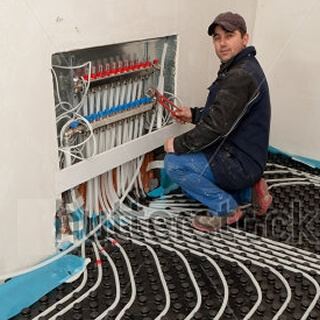 Under floor heating (UFH) or radiant floor heating systems are being specified more and more as an alternative to traditional central heating systems using radiators. This is very evident in conservatories using a wet heating system, and in new build areas with hard tiled surfaces. A heating system using a radiant floor (UFH) is often thought to be more energy efficient than radiators as they run at ‘lower temperatures’. However this is offset by the fact that wet under floor heating systems are very slow to respond and have to operate 24/7 or risk under heating the room in the event of a cold snap. This lower operating flow temperature is often achieved by mixing the central heating hot water with cold water to achieve a temperature that the floor can withstand – not a very energy efficient room heating system. Similarly, radiant floors such as under floor heating (UFH) retain their heat energy long after the room has reached the desired temperature, often over heating the room making it uncomfortable – especially at night. Air conditioning or opening the windows is often the only solution, which is obviously a very wasteful use of energy. Modern insulation levels often don’t allow small rooms to cool very quickly, and so a heavyweight floor structure simply continues to heat the space well past the target temperature. This is especially a problem in places like 1st floor bedrooms, care homes and student accommodation, as well as spaces with varying occupancy levels and uses such as classrooms and meeting areas. ThermaSkirt heating systems are a radiator in the true sense of the word, but cleverly disguised as the skirting board around the room. This creates the same thermal comfort level as under floor heating (UFH), as far as the occupants are concerned, but in a fraction of the time from a cold start. Similarly, ThermaSkirt turns off very quickly, cooling the room in the event of a sunny spell. This responsiveness ensures the heating system is only on when required and operating at maximum efficiency. The hot water can be supplied by a traditional gas boiler heating system, or more often, by a renewable energy source such as solar panels, ground or air source heat pumps and wood pellet stoves. ThermaSkirt is often a DIY central heating solution, as being ‘above ground’ there is no more upheaval in fitting ThermaSkirt than there is with a traditional central heating system. The simple installation of a ThermaSkirt heating system enables even older properties undergoing renovation or refurbishment to improve their energy efficiency and reduce their carbon footprint. Considering UFH downstairs & radiators upstairs? Why not consider ThermaSkirt upstairs instead of clumsy radiators to compliment your UFH on the ground floor? ThermaSkirt can mix and match with any other form of room heating - contact us for more details. There has been a surge in the number of ‘retrofit’ under floor heating solutions launched in recent years, to meet the demand of existing buildings looking to go UFH rather than radiators. This seems especially attractive to those home-owners that are considering renewable primary heat sources such as air source heat pumps, as the thought of having massively over-sized low temperature radiators is too horrible to bear, and fan assisted radiators that require new electric wiring to them, which would disturb the décor too painful to contemplate. On the face of it, an under floor heating system with a build-up of only 15 ~20mm seems an ideal solution. In many adverts, the UFH system is shown next to a 5 pence piece to show just how ‘thin’ it is. But hang on – is the ‘thinness’ the be all and end all when it comes to retrofitting UFH in your home? At DiscreteHeat, we would never question a clients’ preference to install UFH in a new constructed concrete screed (such as in a kitchen extension for example), especially under tiles which is a very good emitter of radiant heat. 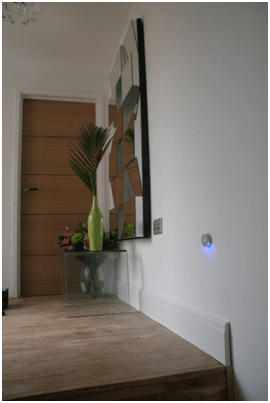 Indeed, our ThermaSkirt heating systems are often supplied as either a back up to UFH where heat losses are too high for under floor heating on its own, or as a complimentary heating solution upstairs – in bedrooms for example. 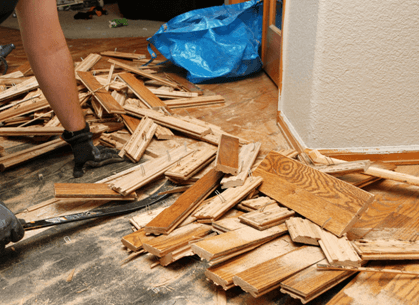 However, we never flinch from our view that under wood or carpet, the increased insulation and their natural thermal resistance makes UFH in these applications a nonsense. When it comes to retrofit under floor, we are constantly amazed at the impractical lengths installers will go to, and the enormous disruption and additional costs home owners will absorb to obtain heating under their feet. In a retrofit installation, whether it’s on a conventional boiler or on a renewable energy source such as a heat pump we sincerely believe the ThermaSkirt solution to be the best solution. Take these 2 examples here. 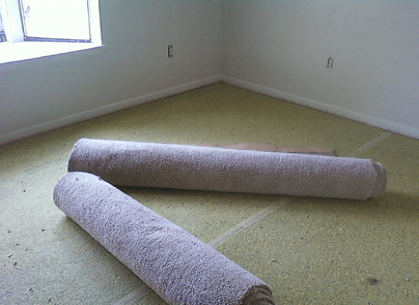 On the left is a carpeted upstairs child’s bedroom, already decorated and looking pristine. On the right is an entrance hallway with lovely lime washed timber floors. In both instances the owners wanted to remove the radiators and fancied UFH. When discovering the cost and disruption of making good afterwards, they thought their hopes of freeing up their walls and creating a more inviting (and safer) space for their family was lost. Until they googled ‘UFH alternative’ and found ThermaSkirt. In both cases, ThermaSkirt could connect onto the existing radiator pipework meaning minimal disruption and cost. By being an ‘above ground’ solution, there was no need to lift any floor coverings or carpets, nor plane down any doors. By taking care, each system was installed in a day, with no cleaning or redecorating required (except to touch up the dirty patch where the radiator had left its mark). They say that history repeats itself (firstly as a tragedy, the second time as a farce according to Karl Marx). In the 80’s and 90’s similar small bore, 10mm pipes were all the rage in underfloor heating. The concept of small bore pipes for UFH is not new. Admittedly, in the 90’s these were set into the screed, but the principle is the same, in that small areas, typically 10~12m2 were each heated by a small pipe, requiring 2~3 circuits for an typical room. Well, unfortunately, a small bore pipe with a series or curves is prone to clogging and building up deposits – especially in hard water areas, or where there is a mixed system using radiators which create sludge over time. It’s one of the reasons that ‘microbore’ copper tube (remember that?) is no longer available for central heating systems. At DiscreteHeat, we have made a tidy sum from replacing those small 10mm bore systems from the 80’s and 90’s that have failed. Provides you with new, freshly painted skirting boards for ‘free’! Why not send us your plans for a quick, free and no obligation quotation for your next refurbishment project?